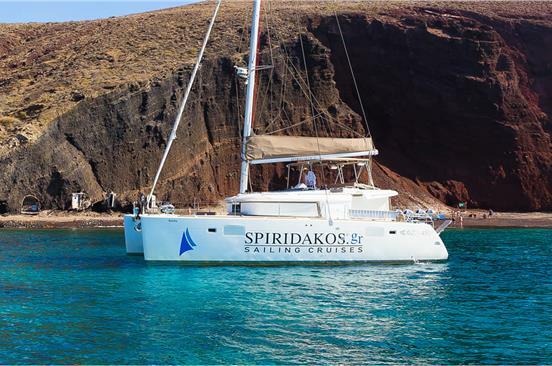 A catamaran cruise is undoubtedly the best experience one can have in Santorini as in a short amount of time you can see some of its top attractions in the best possible way. 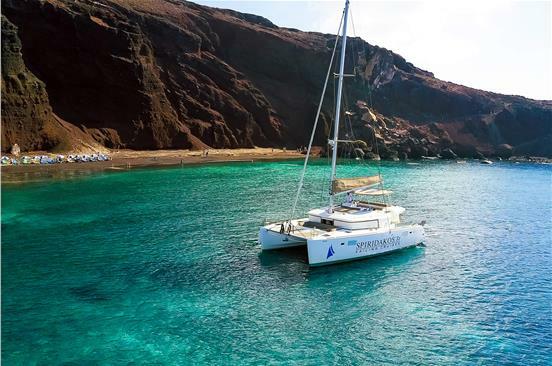 You will swim in the crystal-clear waters of its most iconic beaches, such as Red Beach and White Beach, and in the therapeutic waters of the volcano’s hot springs as well. 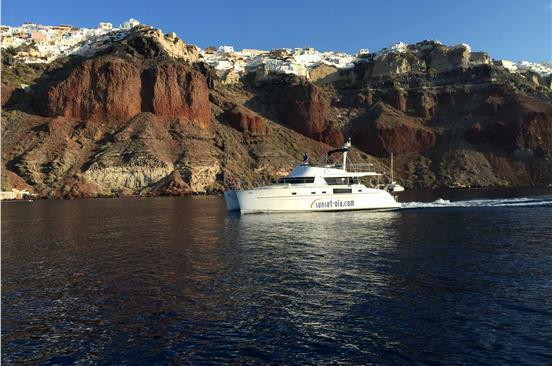 You will also enjoy delicious food on board as well as terrific views of the caldera cliffs and the volcanic islands that make everyone gasp. 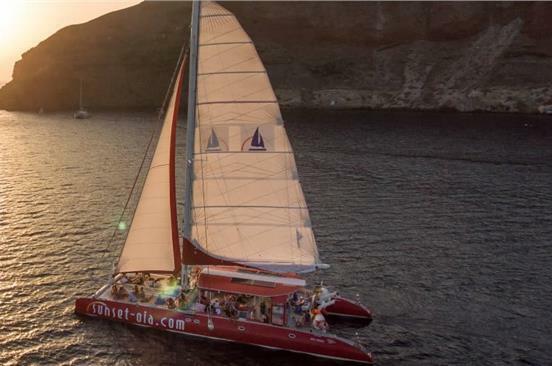 Those who book a sunset cruise will relish the most spectacular sunset in the world below the beautiful village of Oia. 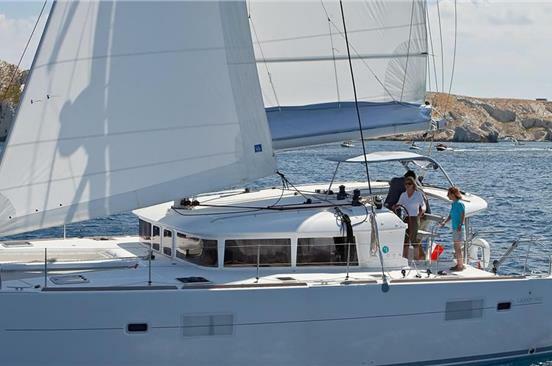 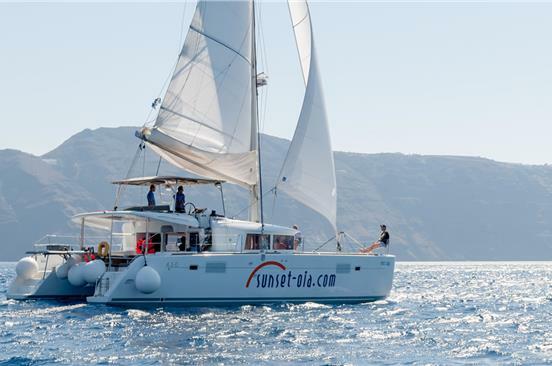 There are plentiful catamaran cruises in Santorini and we have selected the best ones for you. 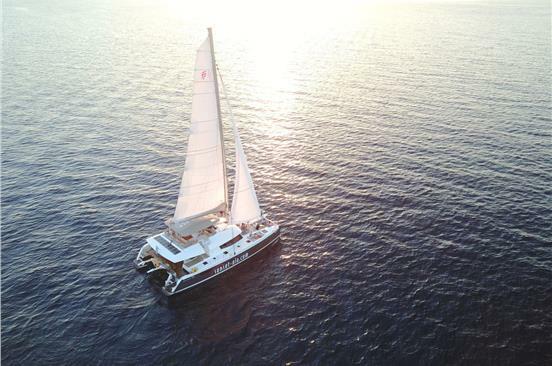 The main differences among them are the food and drinks, the number of participants and the vessel’s size and comfort (luxury catamarans). 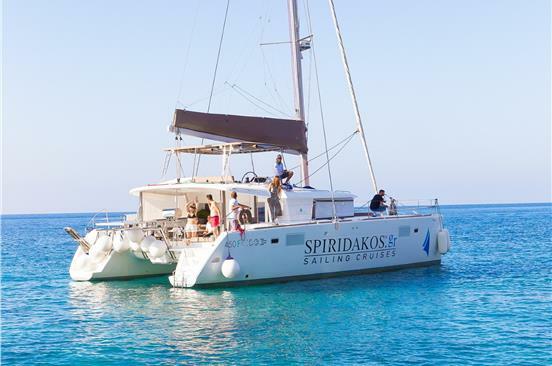 All cruises include hotel pickup and drop-off service. 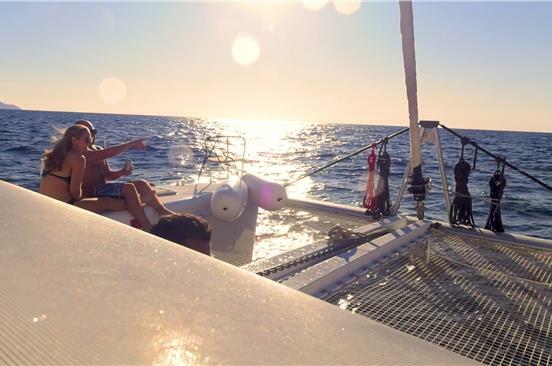 Treat yourselves a sailing cruise and you won’t regret it since it is a totally rewarding experience that will enhance your vacation.